If you are looking to build a website with WordPress you will probably have already come across Elegant Themes and their hugely popular Divi Theme. Elegant Themes are one of the largest and most popular companies offering premium WordPress Themes and plugins, but why are they so popular, and why would you want to sign-up for an Elegant Themes account? This post will give you a quick rundown of why Elegant Themes is worth the $89 a year, or $249 for lifetime membership access. Head to the bottom of the page to get 10% discount on lifetime membership or 20% off annual membership plans. The #1 WordPress Theme and the #1 reason anyone would want to have an Elegant Themes membership. Elegant Themes were a popular theme shop long before Divi came along, but it was Divi that has taken them to new heights and really helped Elegant Themes grow since it was released in November 2013. The majority of the 570,000 members of Elegant Themes will have joined just to get access to Divi, and for most, this theme alone would be enough to justify buying the Elegant Themes membership. With membership pricing options at either an $89 per year subscription or $249 one-off payment, the Elegant Themes price is hard to beat. The price gives you access to Divi, Extra and 85 non-Divi Builder WordPress Themes, along with 3 premium WordPress plugins. As you build more sites with Divi and take advantage of the multi-site licensing (see #3), the price becomes increasingly good value. The real value of your Elegant Themes membership comes into play when you take advantage of the unlimited use licensing that it comes with. This means that you can use any of the Elegant Themes products on as many websites as you like. So, if you want to build multiple sites for yourself, for your family & friends or for paying clients, you can do so with a single membership plan. Most alternatives to Divi will be based on single site usage or be priced considerably higher. Elementor Pro, for example, would cost you $199 per year if you wanted to use on unlimited sites. Extra is one of the 87 WordPress themes from Elegant Themes and is designed specifically for blog, news & magazine websites. Extra comes with the same Divi builder as you will find in the Divi Theme, but has extra features aimed to help to create and to display your blog/news content more effortlessly. If you are looking to start a blog with Extra, you can check out some of the best Extra Theme examples and see if it is something you might like to use. There are also 85 other (older) WordPress Themes available as part of the Elegant Themes membership. But with Divi, Extra and so many free pre-designed website layout templates available for almost any niche within the Divi builder itself, there is not really much use for these older themes now. But, there may just be a theme in there you can use as a quick ready-made site, so it’s worth taking a look at what’s available. Your Elegant Themes membership includes unlimited use of the Bloom, Monarch and Divi Builder plugins which can be used with any WordPress websites. The Bloom plugin is an email opt-in and lead generation plugin that displays an opt-in form as pop-ups, fly-ins, inline content, below content, and in widget areas based on 6 different user triggers. Opt-in forms are integrated with 16 popular email campaign software providers such as MailChimp, Aweber, Campaign Monitor, and Infusion Soft. Data from the plugin is displayed in its own dashboard and form designs can be A/B tested in the app so you get the most subscribers as possible. Bloom can also be used as a content locker which allows you to hide content from your users until they have subscribed to your email list. The Monarch plugin is a social sharing & following plugin for WordPress. You can add up to 20 different social sharing networks to various places on your website with 6 different triggers. You can add as a sidebar (like you see on this site), above or below content, on images, in a pop-up or on a fly-in modal. There are 35 social follow networks included that can be added to your site via any widgetized area or via a shortcode. The Divi Builder plugin is a standalone plugin that allows you to use the Divi Builders visual drag-and-drop page builder with any WordPress website. If you are using Divi or Extra Themes you do not need to also use the plugin. The free Divi layouts that ship with the Divi Theme, Extra Theme and Divi Builder plugin are pre-designed templates that are available to load into your website directly from your Divi builder. These layout packs are a huge selling point for Elegant Themes and a big time-saving solution that users love. Twice a week a multi-page Divi layout pack is released for a new website niche and at the time of writing, there are currently 110 different packs available to choose from. On top of these layouts available in the Divi Builder, there are more available to download from Elegant Themes and 3rd party Divi designers that can be imported into your Divi library and loaded into your website. 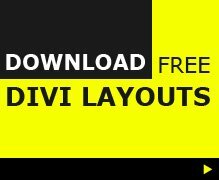 The best place to find all free Divi layouts is in the Divi Layouts directory site. Elegant Themes are a well-established business and are on a mission to constantly improve their products. The Divi Theme is the lead theme, which is reflected in the number of new features already released and those that are currently being worked on. Some people grumble that the theme is updated too much, but for me, it builds confidence knowing that there is a team of developers constantly working on improving and extending the capabilities of the theme and that development is on-going. You can see the frequency of Divi theme updates in the changelog file. Updates are a mix of new features, bug fixes and the occasional security patch (also available via a plugin if membership is expired). Divi has an every growing number of 3rd party developers who are creating products specifically for the theme to offer additional design options and theme functionality. 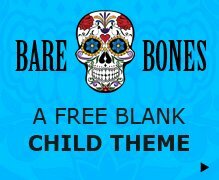 There are hundreds of Divi child themes available to jump-start your website, plugins to extend functionality or add new design effects and layouts to give you pre-designed templates to build your site with. Elegant Themes offer a 30-day money back guarantee for anyone who signs up for their membership and is not satisfied. Elegant Themes isn’t perfect for everyone, and if you decide that it’s not for you just ask for a refund. Without a doubt, Elegant Themes Divi has the largest, most active community of any WordPress Theme which means there is always someone on hand to offer a helping hand where needed. There are many different Divi Facebook groups available to choose from, with the largest and most active being the Divi Theme Users group which has 30,000+ members and is run by staff from Elegant Themes and moderated by members of the Divi community. And last, but not least, you can grab yourself a discount on the already low price by using my affiliate links. You can get 10% off lifetime membership and 20% off an annual membership. Each year there is also a Black Friday & Cyber Monday sale, which last year saw a 25% discount available on all memberships, including upgrades. Along with the discount, there are thousands of 3rd party products and a number of exclusive free layout packs given away in the sales, so if you can hold off until November it’s a great time to buy. Affiliate disclosure* – Links to Elegant Themes and 3rd party websites from Divi Theme Examples may contain affiliate code. You will never pay any extra for using these links. Thanks for supporting Divi Theme Examples and helping keep it a forever free resource for the Divi community.